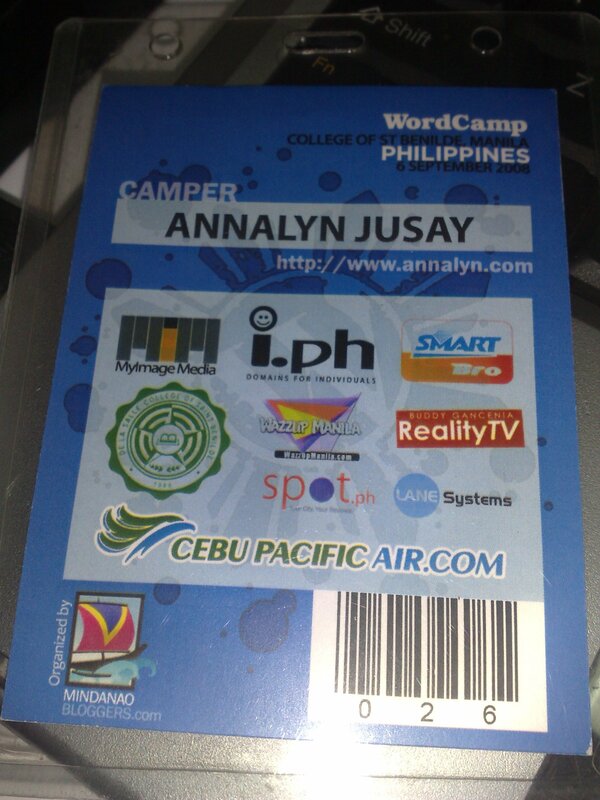 « I am an Official WordCamper, Are You? 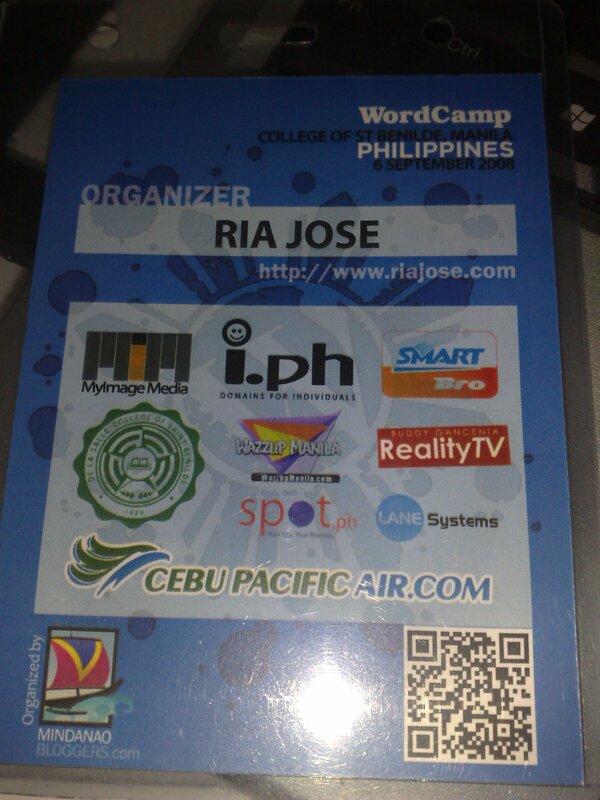 Tomorrow, Kuya Andrew and I will be flying to Manila via the Cebu Pacific to start preparing for WordCamp Philippines. On Sunday afternoon, I will be meeting up with volunteers, to go through our tasks and schedule. Then on Tuesday, I will be speaking at the Y4IT at UP Diliman. It’s not a WordCamp related event, but my topic will be WordPress. Friday next week, September 5, is ingress day. Everything will be finalized and settled there. STRESS! STRESS! STRESS! All are excited for WordCamp Philippines.. 🙂 And, I am one of them… I will fly from Zamboanga just to attend this event. Also, I want to attend the Y4IT in UP but I just can’t… See you! All the best Ria to this forthcoming event. Hope you can get someone to record your Y4IT talk. Congrats again to the “usual suspects” for making this project a big hit!